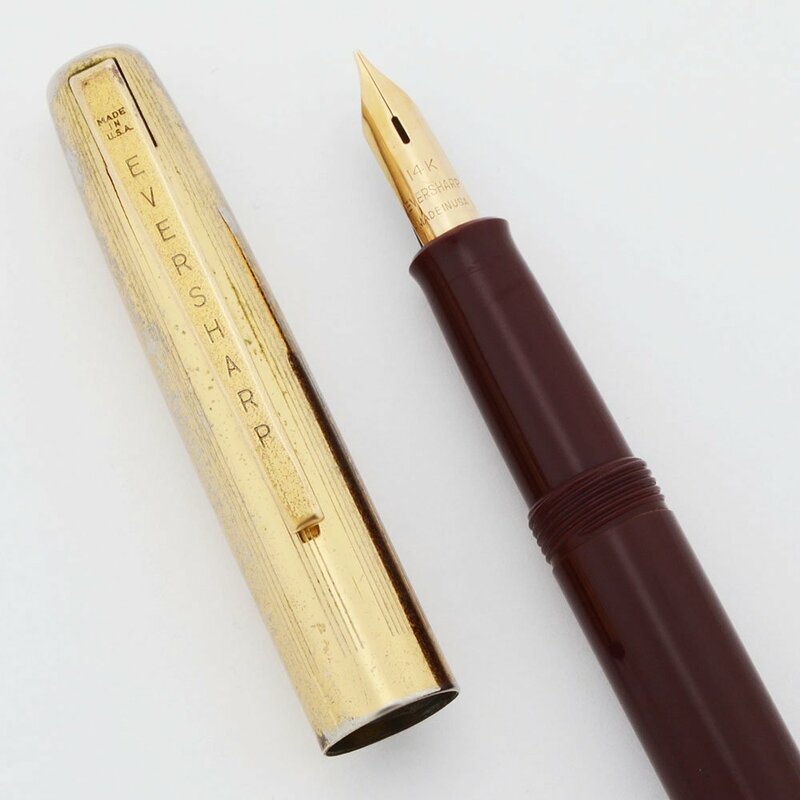 Eversharp Ventura fountain pen from the 1950s. Squeeze converter filler included. Burgundy (Dubonnet) body with gold filled cap and trim. Fine-Medium 14k nib is smooth. Very nice condition and working well. Filling System Squeeze converter. One is stalled and working well. Color Burgundy "Dubonnet" barrel with a gold filled cap and trim. The cap has vertical grouped lines pattern. Condition Very nice condition. The section and barrel have light to moderate general scratching. The section has some deeper scratching from mid-section to top. 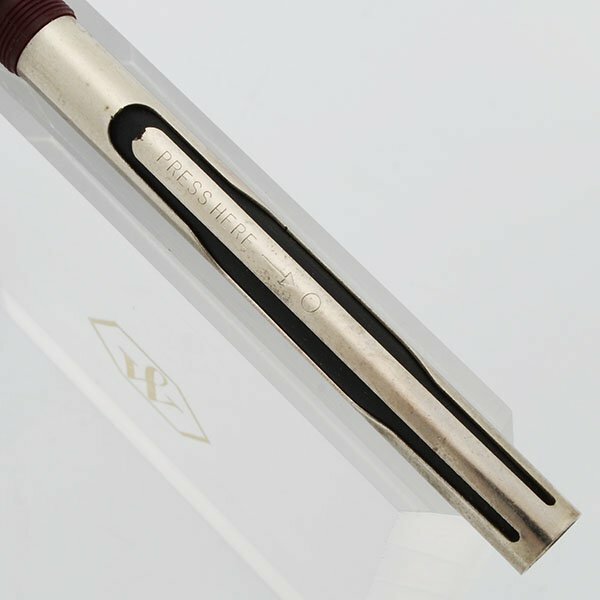 The barrel has some deeper scratches in the mid-section (where there is a small smattering of dots and dashes), and at the end of the barrel extending to the very bottom. The cap and clip have quite a bit of scratching and plating wear. The imprint on the clip is clear.